F2 Management Accounting looks at the principles and understanding of management accounting and the added value it can bring to the finance function. It’s part of the foundation level of the ACCA qualification and it will prepare for the more challenging areas ahead. You will be looking at budgeting, costing and performance measurement in the ACCA F2 paper. Technical articles on F2: Management accounting can be found here. Examiners report from ACCA can be found here for F2 paper. Printable ACCA study texts from Astranti for the F2 paper can be found here. Self study ACCA students can pick up a copy of the F2 study text here. Astranti offer all members free online versions of their ACCA study materials and it’s well worth getting your hands on. It gives you the flexibility to study whenever and where ever you want and for no cost! As well as the online and printable versions of the ACCA study text, Astranti also run ACCA master classes for all levels of the qualification. You can sign up for the ACCA Live Online Masterclasses here. Alternatively, you can use download the pre-recorded master classes that other students have sat – this is perhaps even more flexible as you can pause and stop the master class and view it at your own pace. It will include how to improve your exam technique, which can score you those all important extra marks in the exam. In total you will get over 10 hours of tuition spread over the course of two days (if you attending the master class live) and they are a great tool for students who are revising for their next ACCA exam and want to achieve a pass first time. You can access the official ACCA F2 mock examination page here. Astranti offer past exams and exam marking from their professional tutors, you can check to see if there are any available exams for the F2: Management accounting paper here. 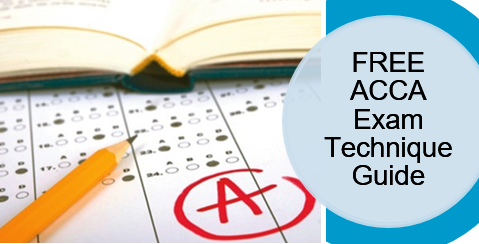 The F1 ACCA exam is a two hour long examination that will cover the whole range of the syllabus. The exam is split into two sections. Section A will contain 30 two mark objective test questions and 16 one mark questions – meanwhile, Section B will contain 6 four mark multi task questions that will each cover the 6 areas of the syllabus mentioned above. This great video below from ACCA and Kaplan explains the F2 Management Accounting examination in more detail. In order to pass the ACCA foundation level exam you must score a mark of 50% or more – which is more than capable with the right preparation.